Summer is almost officially here! As the weather heats up, people head outdoors. What better way to enjoy the weather than spending time outdoors with friends and family at a picnic? June 18th is International Picnic Day – pack up your blanket and basket and pick the perfect spot! While you’re preparing your picnic, don’t forget our favorite food item here at Didion – corn! Besides the summer staple of sweet corn on the cob, you can find field corn in a number of picnic-ready products. Did you know that when you’re grilling your burgers or brats with charcoal, you’re using a corn product? Corn is commonly used in charcoal as a binding agent to help the briquettes keep their shape! Or how about when you grab a nice cold beer from the cooler? You might be enjoying another corn product! Corn grits are used by a number of breweries as an adjunct to the barley malt, creating a lighter, pilsner-type beer. Just another example of how corn is perfect for any occasion! It’s grilling season – the perfect time to enjoy a delicious ear of corn on the cob. 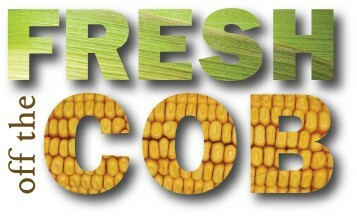 Especially in honor of National Corn on the Cob Day on June 11th! But did you know the corn you are eating is probably not the type of corn that you drive by every day? In fact, in the United States, there is about 394 times more field corn grown than there is sweet corn! Field Corn, also known as dent corn, is the traditional corn that you see driving past cornfields. These are the very tall corn ears that you see harvested in the fall. Field corn is also referred to as dent corn because of the indent that each of the kernels get as the corn dries out. Dent corn is very dry and mainly used to make animal feed and ethanol, though it is also used for food processing. Some of the products that field corn can be made into include: corn meal, corn flour, whole grain corn flours, pregelatinized corn flours, corn grits, corn bran and yeast protein. Sweet corn, on the other hand, is the type of corn that can be eaten off the cob. This type of corn is harvested much earlier in the growing season compared to field corn. Producers do this so the kernels stay moist and soft and good for eating! Not only is sweet corn much easier to eat, but it also has more natural sugar, which is why you can eat it right off the cob. Sweet corn is mainly used for human consumption – corn on the cob, canned corn and frozen corn; however in some cases it’s also used as silage – food for farm animals that is stored inside a silo. So be sure to raise an ear in celebration of National Corn on the Cob Day tonight!